On Wednesday December 19, Ikebana International Fair 2018 will be taken place at Suitengu Room, 3F, Royal Park Hotel. Panama Ambassador’s Spouse will be participating in the international bazar of this event, where you can purchase Panamanian handcrafts, rum, coffee and books. Profit of this bazar will be used for victims of the torrential rain disaster in western Japan. We will be waiting to join us, enjoying Beauty of Ikebana and Panamanian culture as well as other participants countries. 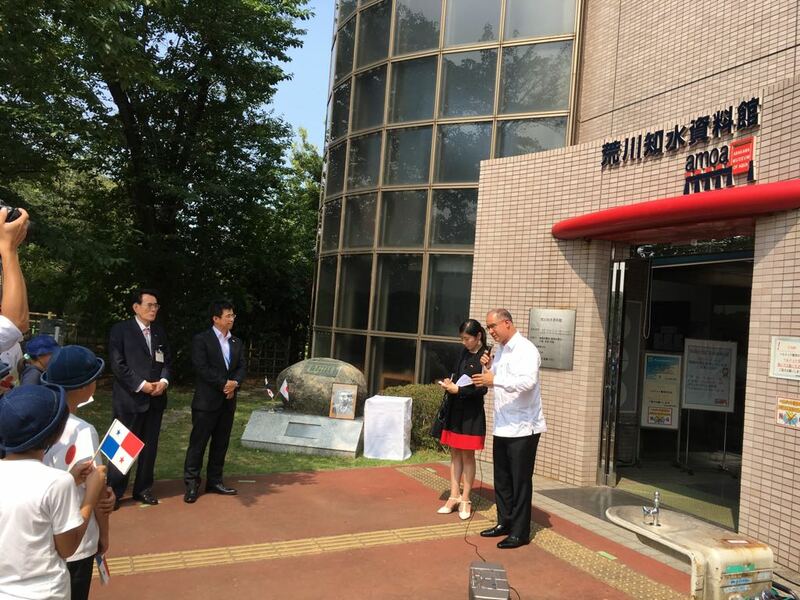 Ambassador of Panama Visits Arakawa Museum of Aqua on the Occasion of the Celebration of twentieth anniversary. On July 18, 2018, H.E. 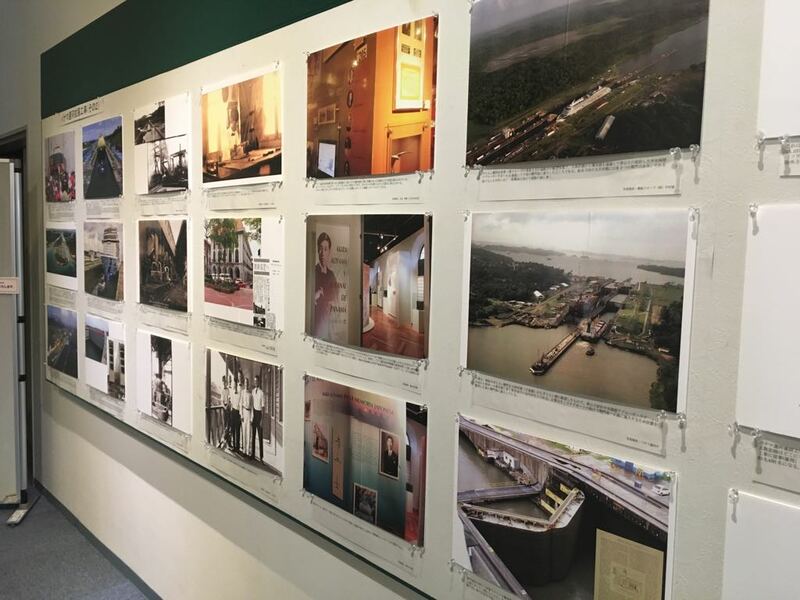 Ritter Diaz, Ambassador of Panama in Japan, paid an official visit to Arakawa Museum of Aqua on the occasion of the celebration of the Twentieth Anniversary of the museum, which has a sister agreement with the Panama Canal Interoceanic Museum since the year of 2000. 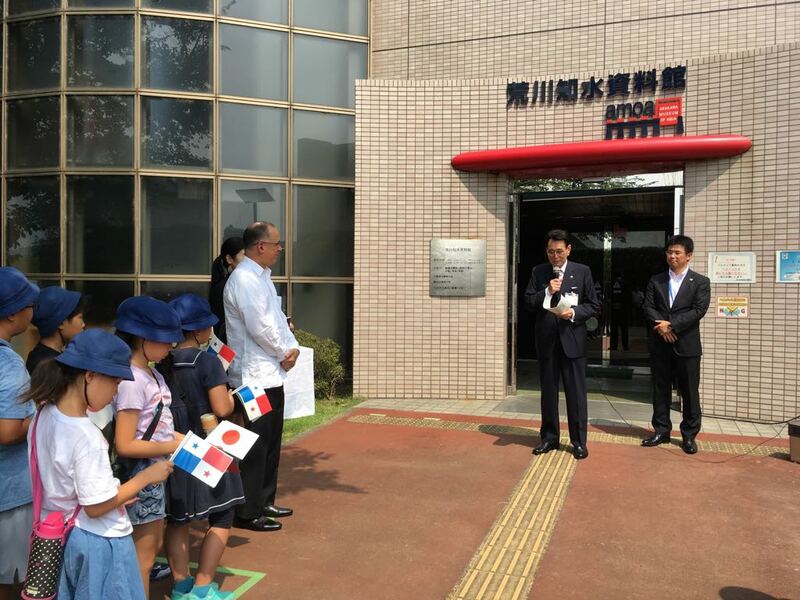 Ambassador Diaz was received by Mr. Yosota Hanakawa, Mayor of Kita district (where this museum is located), Mr. Taiji Arakawa, Director of Arakawa Museum of Aqua, accompanied by children from different primary schools of Kita district. 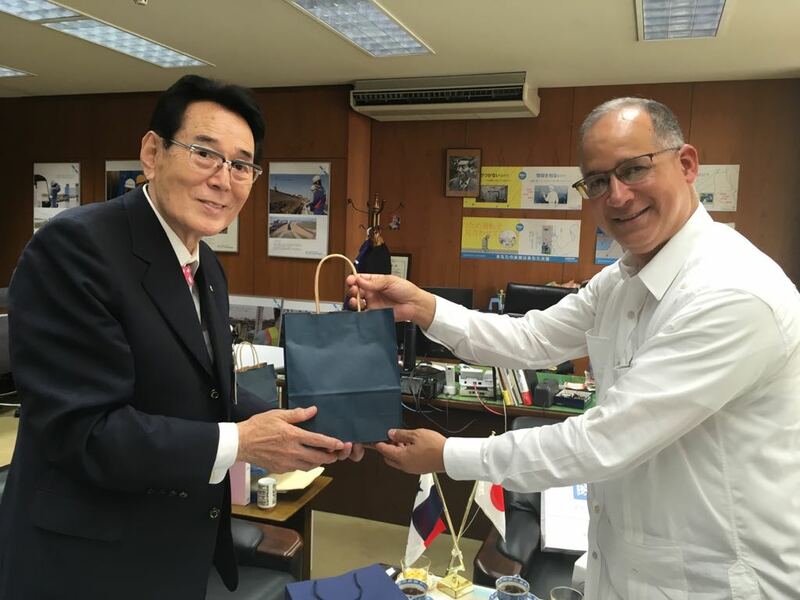 Mayor Arakawa expressed his gratitude to Ambassador Diaz for his visit, mentioning the historical relationship between Panama and Japan through Akira Aoyama, a Japanese engineer who participated in the Panama Canal construction between the years 1904 to 1911. 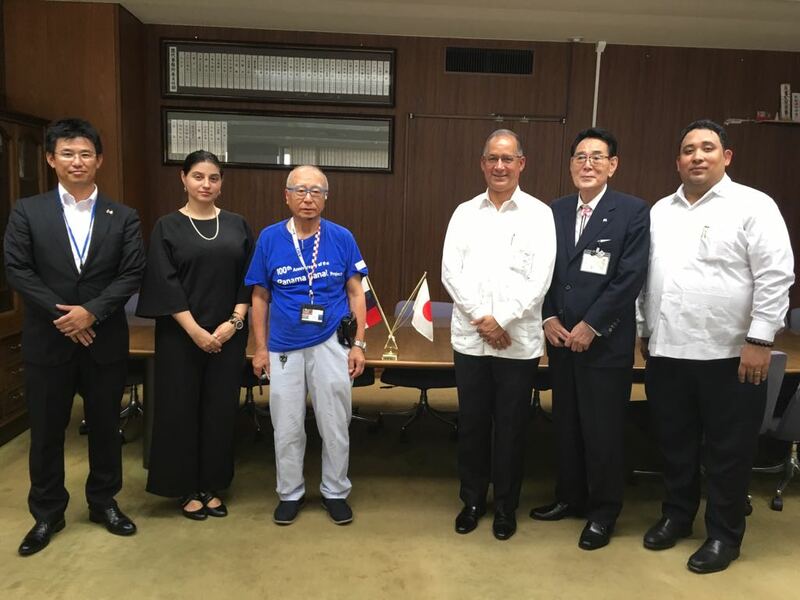 Ambassador Diaz also extended his gratitude for the warm reception upon his arrival to the museum, pointing out the importance of the museum for the residents of Kita district of Tokyo as a source of information of the Panama Canal, as well as of the Arakawa River. 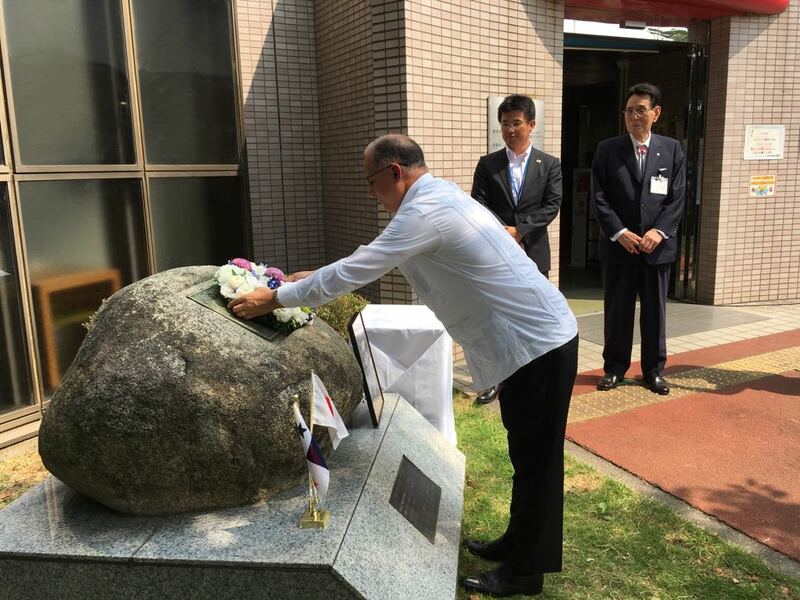 After his greetings, Ambassador Diaz placed a flower arrangement con the top of the monument in the honor of the memory of Akira Aoyama. 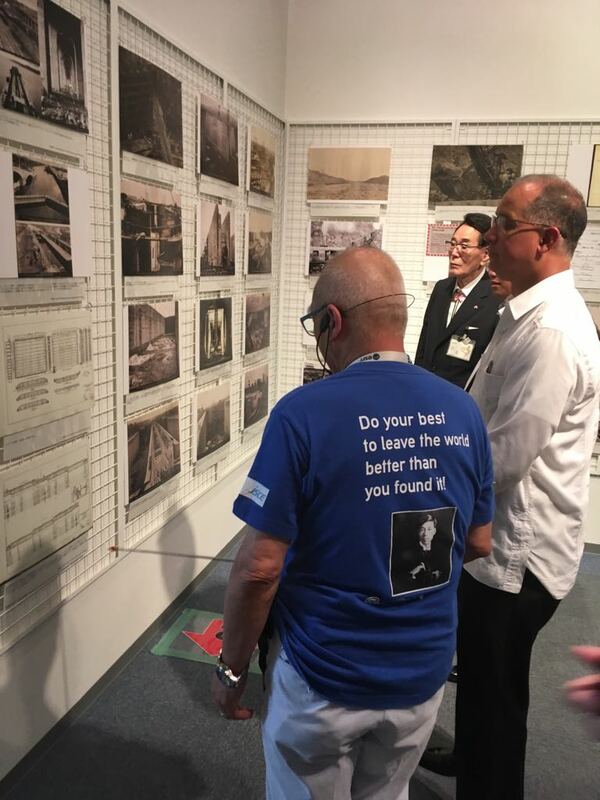 Afterwards, Ambassador Diaz took a tour at the museum, observing the exhibition about Panama Canal construction and the contribution of Mr. Akira Aoyama. Mr. Aoyama worked at the construction of the Panama Canal, and upon his return to Japan applied the new technique to create a canalization system which stopped the constant floods in Tokyo, caused by the Arakawa River. 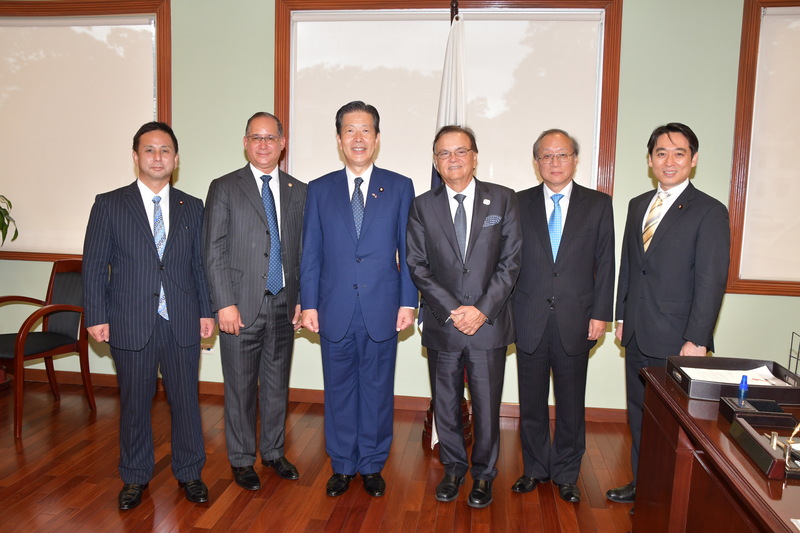 The visit concluded with a meeting between Ambassador Diaz, the Mayor of Kita District and the Director of the Museum, where Ambassador mentioned that the Arakawa Museum of Aqua is an important symbol to connect Panama and Japan culturally and historically, expressing his congratulations for the twenty years of the museum. Receving a embossed map of Arakawa River and Tokyo as a gift from Director of museum. Panama announces the Panama City International Marathon 2018, which will take place on November 25th, bringing together thousands of runners from all over the world. Total of $50,000 dollars will be distributed between winners awards of different distances, as well as a flight ticket of KLM to fly to Amsterdam to join Amsterdam marathon. There are also gold and silver medals and other prizes for the winners of each 42km and 21km distances. 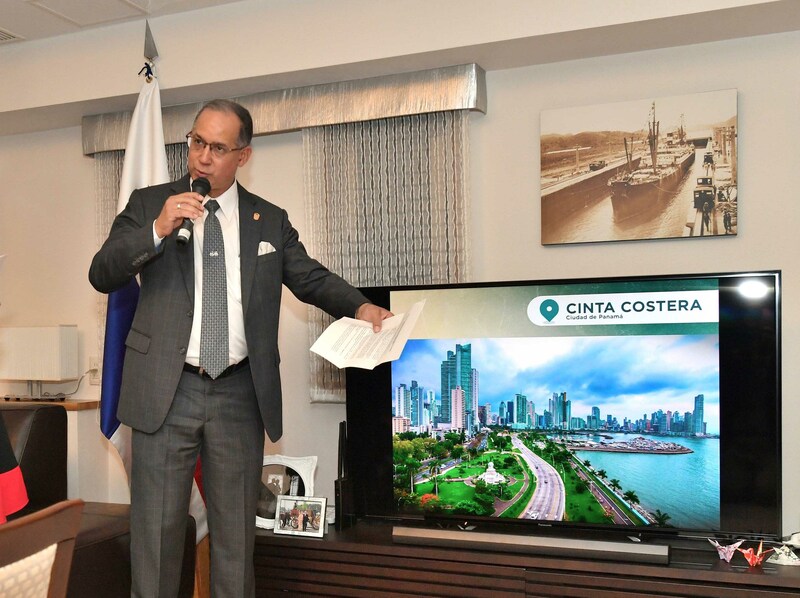 The Embassy of Panama has the honor to inform that Panama will participate in the FIFA World Cup 2018 in Russia for the first time in the country history. In this occasion, a special song, entitled “Sube la Marea” (“the tide is rising”), was released in support of Panama’s national soccer team. Several of Panama’s best-known artists were involved in creating “Sube la Marea” as a tribute by the artists to Panama’s national soccer team. The song expresses Panamanians’ hope, pride, and passion for their team, which is also known as the “Red Tide,” as it makes its first-ever appearance in the World Cup. 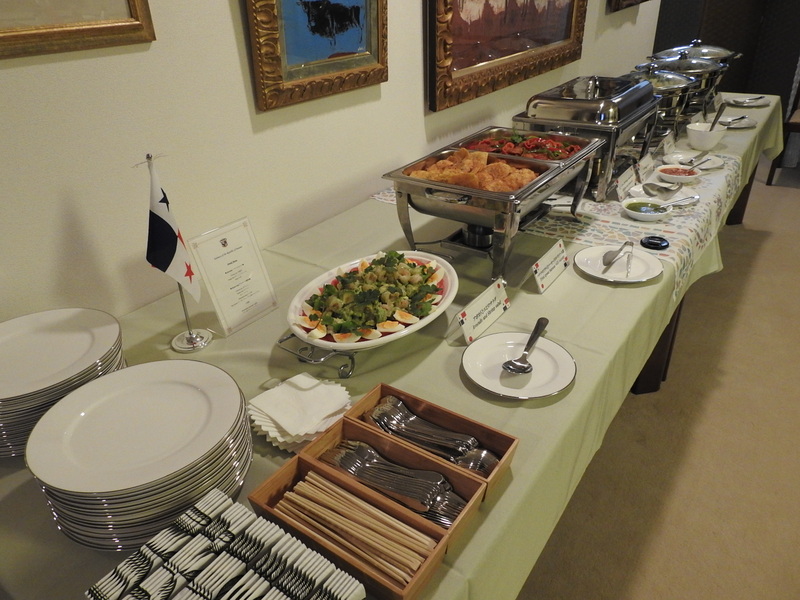 The Embassy of Panama will contribute to “Rise the tide” from Tokyo, Japan. 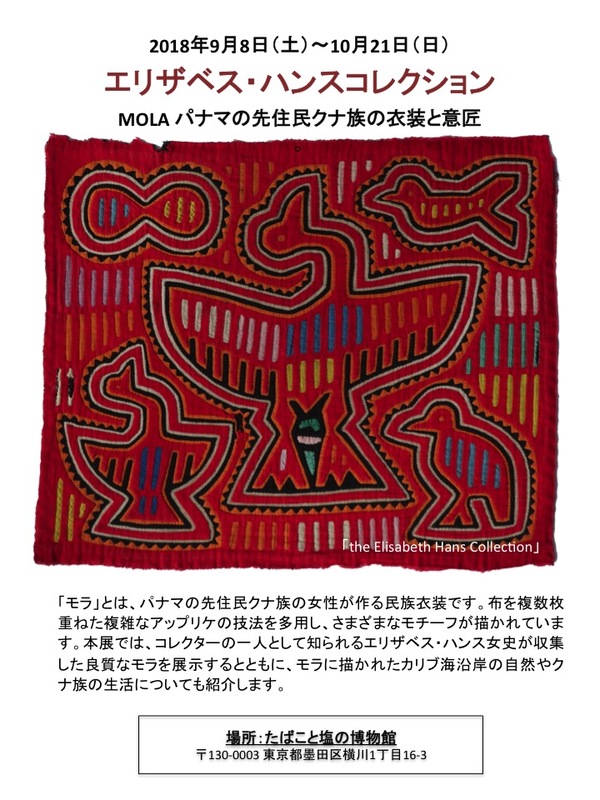 The Embassy of Panama in Japan would like to inform that Panamanian handicraft Mola exhibition “Elizabeth Hans Collection” will be held from September 8th to October 21st, 2018, in Tabacco&Salt Museum in Tokyo. For more information、please access to the HP of the museum. On May 25, 2018, a Panamanian citizen Mrs. Pilar Hasebe received a certificate of Ikebana instructor from Mr. Yukihiro Kubota, President of Ikenobo school Tokyo chapter, at the Embassy of Panama in Japan. H.E. 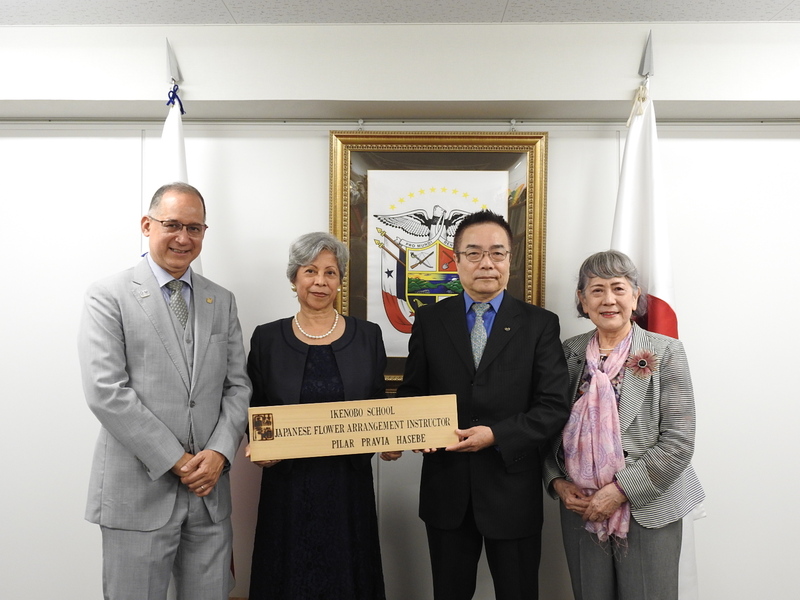 Ritter Diaz, Ambassador of Panama, congratulated Mrs. Hasebe, as first Panamanian citizen, for being certificated by Ikenobo school, which is considered as the eldest Ikebana school in Japan. President Kubota expressed his trustness toward Mrs. Hasebe as a great promotor of Ikebana culture in Panama, expecting her contribution to disseminate this beautiful art of Japanese flower arrangement. On this occasion, there was also the presence of Mrs. Diana Salansky, President of Ikebana International. On April 10, 2018, H.E. 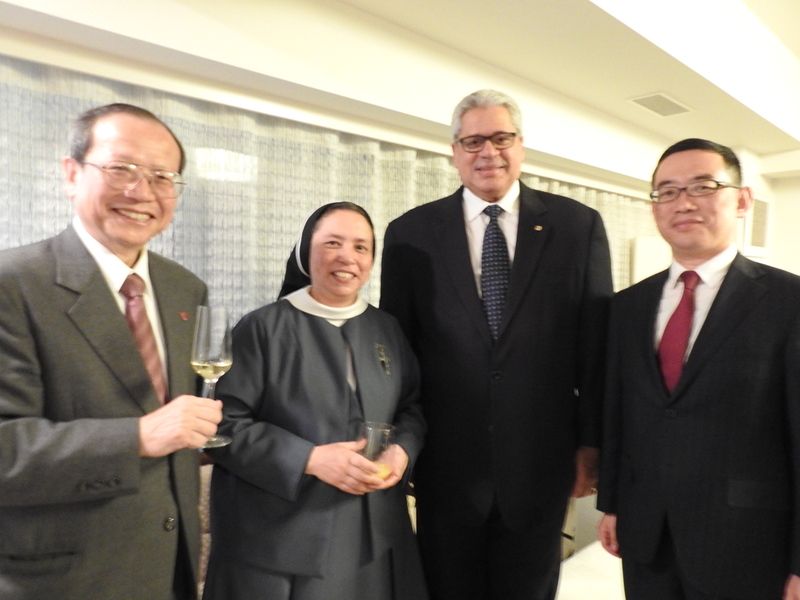 Ritter Diaz, the Ambassador of the Republic of Panama to Japan, celebrated a Friendly cocktail at his official residence, on the occasion of the celebration of World Youth Day 2019 in Panama (WYD2019), which will be held in Panama City on January 22- 27, 2019. This cocktail started with greetings from Ambassador Diaz, where he expressed his gratitude to participants, highlighting the importance of WYD2019 as well as the campaign carried out by the national government to create awareness of this event, which is organized by Catholic Church, under the leadership of Pope Francis. Ambassador Diaz also delivered a presentation on WYD2019, explaining its backgrounds, theme, meaning of official logo, scheduled activities, as well as the application procedure for participants. 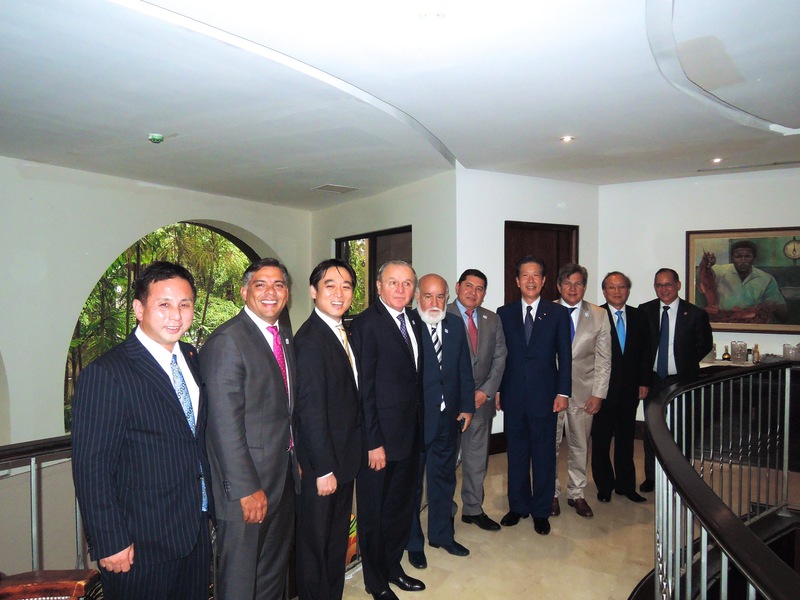 After the presentation of Ambassador Diaz, H.E. Reverend Tarcisius Isao Kikuchi, Archbishop of Tokyo, made a toast for the success of WYD2019, the health of Pope Francis and all participants, accompanied by H.E. 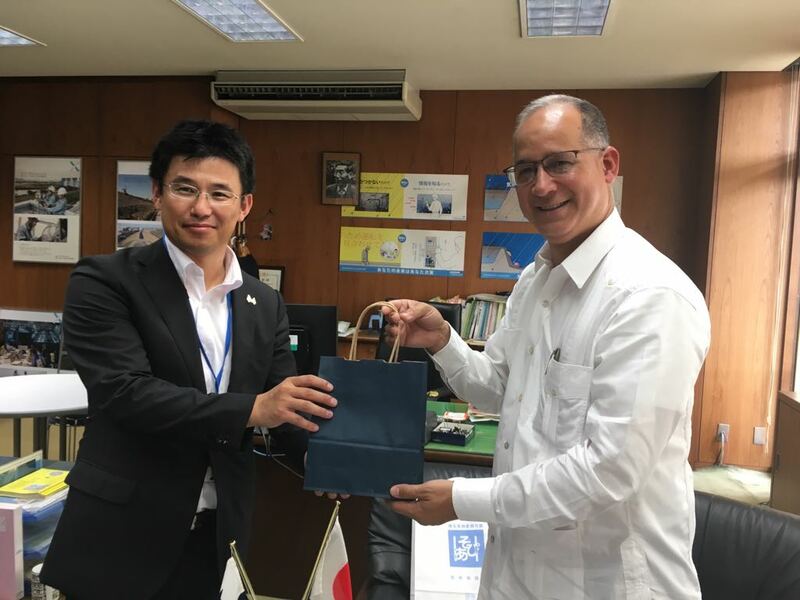 Takahiro Nakamae, Director General of Latin-American and the Caribbean Division of the Ministry of Foreign Affairs of Japan, H.E. 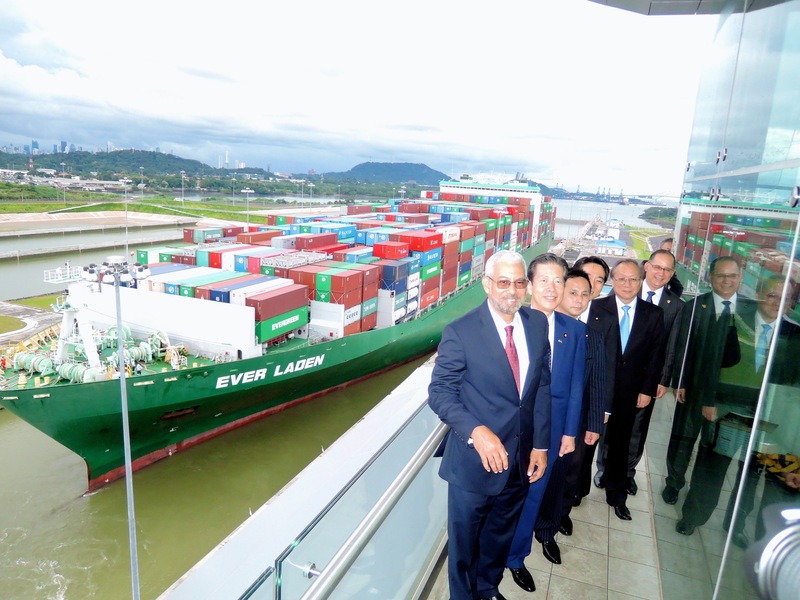 Jorge Barakat, Administrator of Panama Maritime Authority and Ambassador Diaz. This event also counted on the participation of Ambassadors and diplomats from the countries of the Central American Integration System (SICA), Chancellor of Sophia University, Sisters from St. Ignatius Church and Japanese catholic young people, who are interested in joining to WYD2019. This event concluded with a cocktail where all the participants could taste Panamanian cuisine, watching the promotional video of WYD2019. 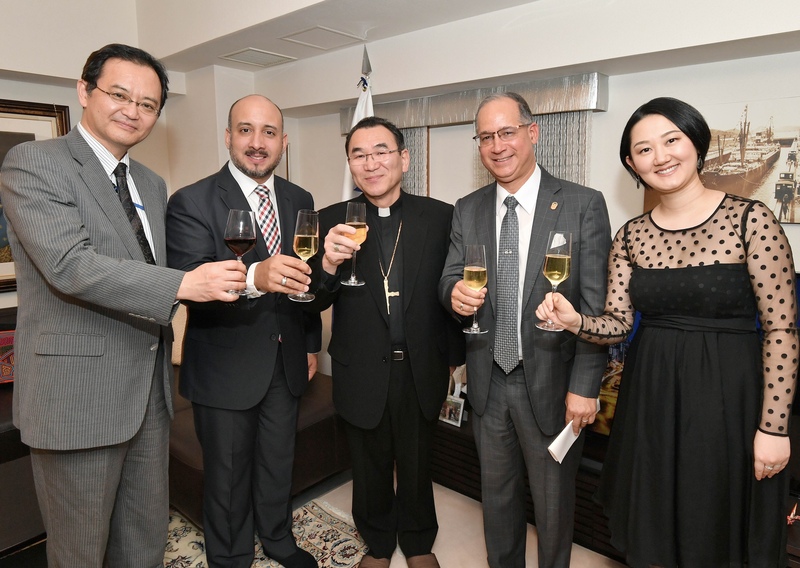 From left to right, Director General of Latin-American and the Caribbean Division of the Ministry of Foreign Affairs of Japan, Administrator of Panama Maritime Authority, Archbishop of Tokyo, Ambassador of Panama in Japan and his wife, during the toast by Archbishop of Tokyo. Participants of cocktail, from left to right, Chancellor of Sophia University, sister from St. Ignatius church, Ambassador of the Dominican Republic, Director of the Centro American and the Caribbean of the Ministry of Foreign Affairs of Japan. 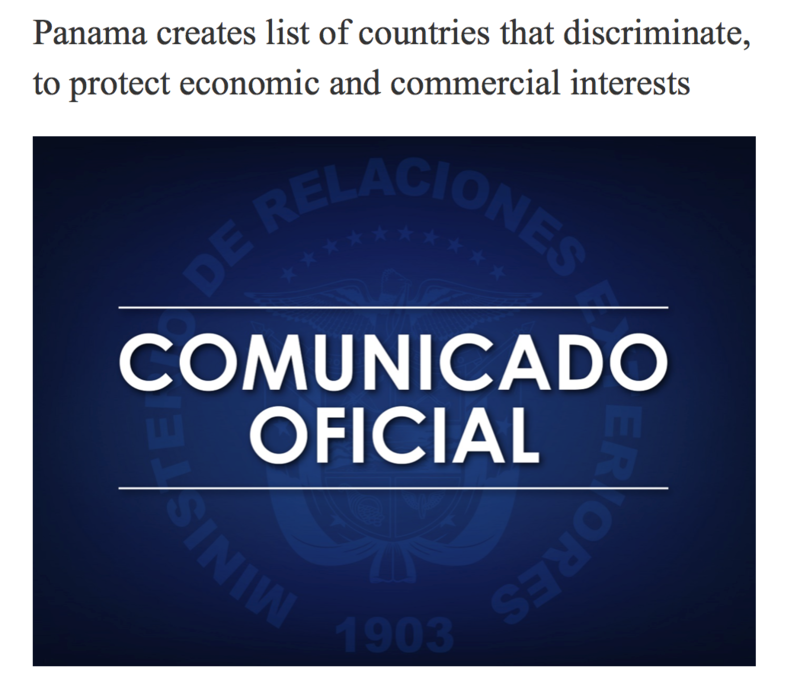 The Ministries of Economy and Finance, Foreign Affairs and Trade, and Industry of the Republic of Panama issued an initial list of 20 jurisdictions in Latin America, Europe and Asia that apply discriminatory or restrictive measures to the Republic of Panama. 9 March, 2018 (Panama City, Panama) – The Panamanian Ministries of Economy and Finance, Foreign Affairs and Trade, and Industry of the Republic of Panama, issued a list of 20 jurisdictions in Latin America, Europe and Asia that apply discriminatory or restrictive measures against the country and that affect their economic and commercial interests. The list, created by resolution and signed by the ministers of the respective portfolios– Dulcidio De La Guardia, Isabel de Saint Malo de Alvarado and Augusto Arosemena– is the first step in Panama’s evaluation of reciprocal actions towards countries that discriminate against it, as established by Law 48 of October 26, 2016. According to Law 48, the corresponding diplomatic steps, propose and approve actions against States that affect the economic and commercial interests of the nation. The countries included in the list of Panama are: Brazil, Chile, Colombia, Ecuador, El Salvador, Peru, Uruguay, Venezuela, Croatia, Slovenia, Estonia, France, Greece, Lithuania, Poland, Portugal, Cameroon, Georgia, Russia and Serbia, jurisdictions that keep Panama has included in different discriminatory lists. The measure will be effective as of its publication in the Official Gazette. Whereas the list is to be revised at least once a year, the working group responsible for preparing it (the ‘code of conduct group’) can recommend an update at any time. For more information↓. Eight jurisdictions have been removed from the EU’s list of non-cooperative jurisdictions for tax purposes, following commitments made at a high political level to remedy EU concerns. Barbados, Grenada, the Republic of Korea, Macao SAR, Mongolia, Panama, Tunisia and the United Arab Emirates are moved to a separate category of jurisdictions subject to close monitoring. On 23 January 2018, the Council agreed that a delisting was justified in the light of an expert assessment of the commitments made by these jurisdictions to address deficiencies identified by the EU. In each case, the commitments were backed by letters signed at a high political level. “Our listing process is already proving its worth”, said Vladislav Goranov, minister for finance of Bulgaria, which currently holds the Council presidency. “Jurisdictions around the world have worked hard to make commitments to reform their tax policies. Our aim is to promote good tax governance globally.” The decision leaves 9 jurisdictions on the list of non-cooperative jurisdictions out of 17 announced initially on 5 December 2017. These are American Samoa, Bahrain, Guam, Marshall Islands, Namibia, Palau, Saint Lucia, Samoa and Trinidad and Tobago. The list also carries recommendations on steps to take to be de-listed. The EU’s list is intended to promote good governance in taxation worldwide, maximising efforts to prevent tax avoidance, tax fraud and tax evasion. It was prepared during 2017 in parallel with the OECD global forum on transparency and exchange of information for tax purposes. Whereas the list is to be revised at least once a year, the working group responsible for preparing it (the ‘code of conduct group’) can recommend an update at any time. Jurisdictions that remain on the list are strongly encouraged to make the changes requested of them. Their tax legislation, policies and administrative practices result or may result in a loss of revenues for the EU’s member states. Pending such changes, the EU and the member states could apply defensive measures. Today’s decision was taken without discussion at a meeting of the Economic and Financial Affairs Council, by means of an amendment to its December conclusions. The 8 jurisdictions are moved from annex I of the conclusions (non-cooperative jurisdictions) to annex II (cooperation with respect to commitments taken). From August 30 to September 1, 2016, H.E. 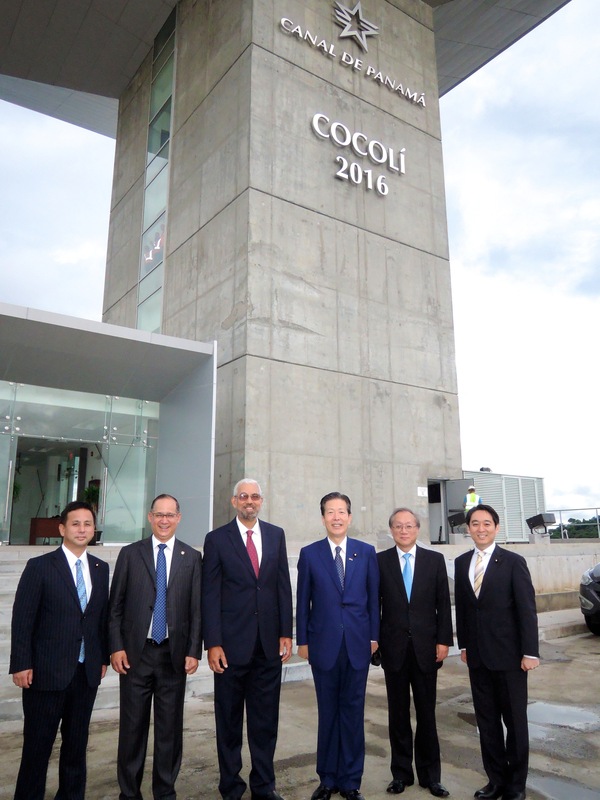 Natsuo Yamaguchi, President of New Komeito Party, the principal partner of the ruling coalition of Prime Minister Shinzo Abe, paid an official visit to Panama, accompanied by H.E. 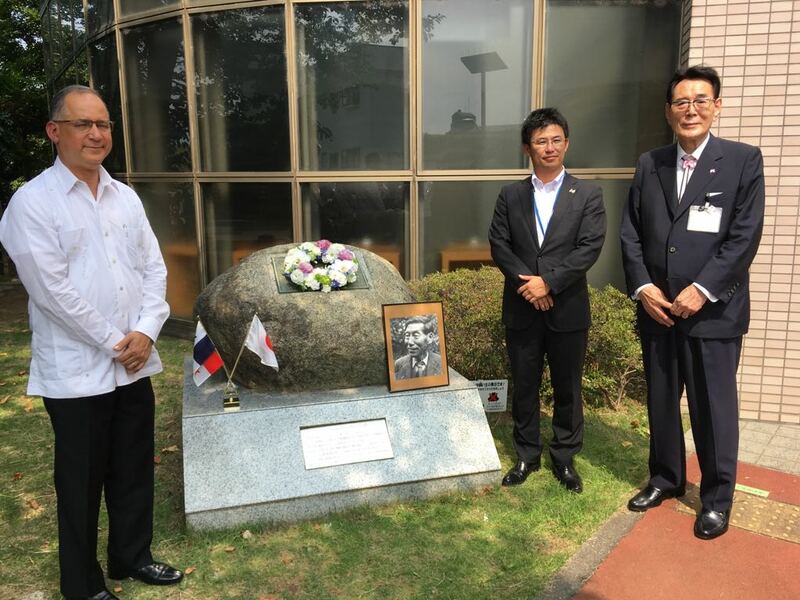 Ritter N. Diaz, Ambassador of the Republic of Panama in Japan. 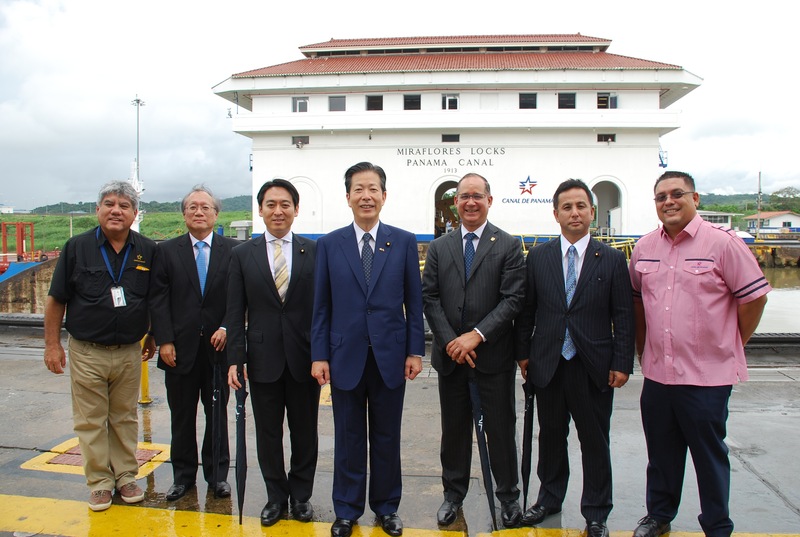 This visit has started with an inspection tour to the new Cocoli locks of Canal zone, as well as current Miraflores locks, where he had an opportunity to operate the system of one of the locks from control tower. He also paid a courtesy visit to H.E. 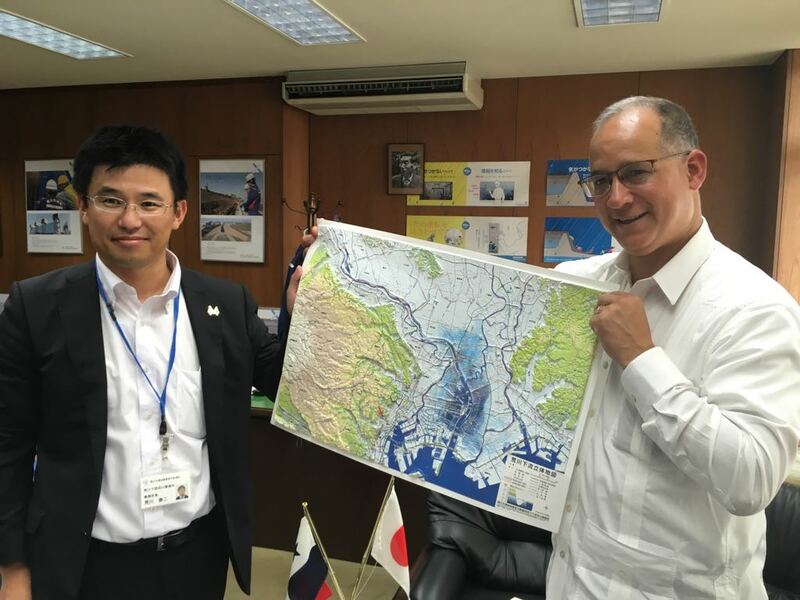 Roberto Roy, Minister of Canal Affairs and the CEO of Metro of Panama, to know the progress of the Line-3 Project of Panama, which is financed by the Government of Japan. After the visit of Minister Roy, President Yamaguchi transferred to the National Assembly, where was greeted by Mr. Rubén De León, President of the National Assembly. 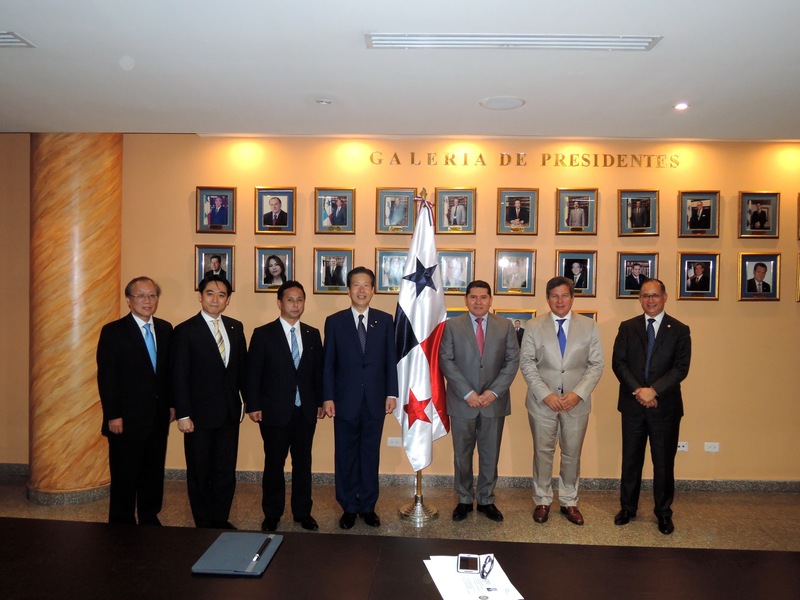 Later on, President De León, with the presence of President Yamaguchi, had handed to Ambassador of Japan in Panama the list of the Diet members of Panama-Japan Inter-Parliamentary League Panama chapter, with the object of strengthening political as well as legislative relationship between Parliaments of both countries. 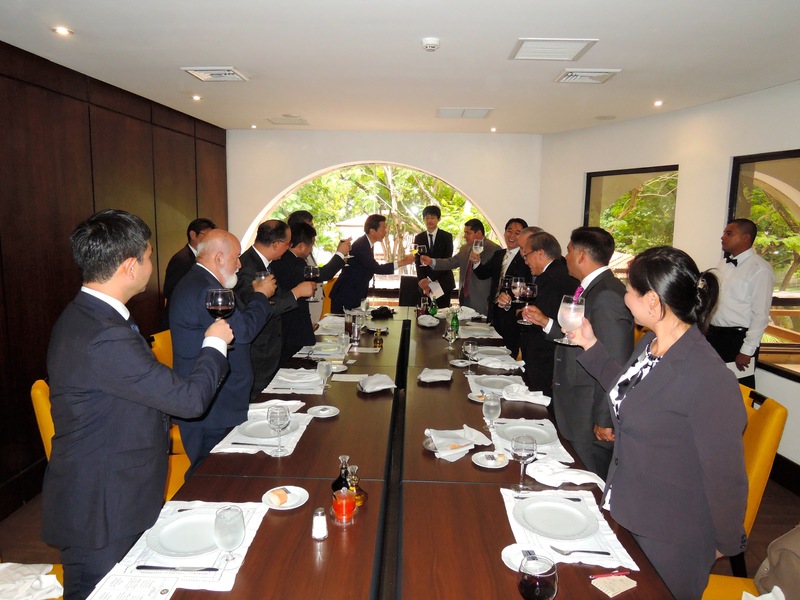 Immediately after the visit to the National Assembly, the Diet member of the Panamanian Parliament offered a lunch in honor of President Yamaguchi. The visit continued with a visit to H.E. 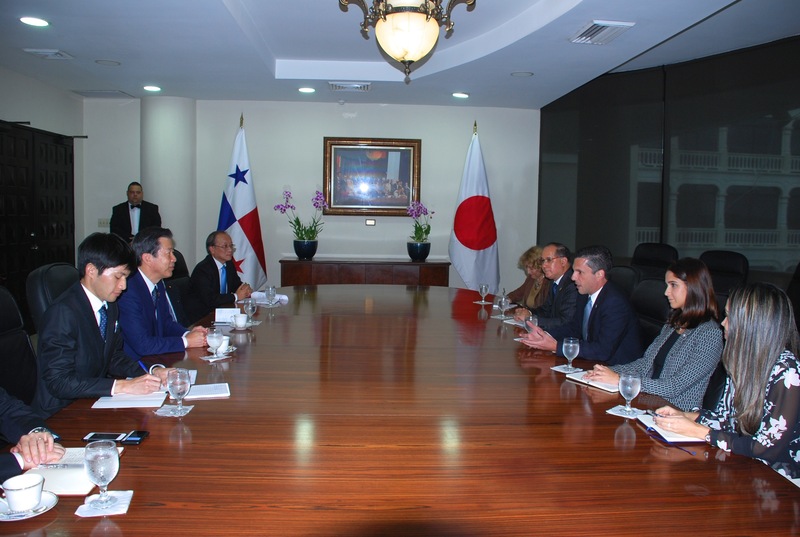 Luis Miguel Hincapié, Vice-Minister of Foreign Affairs, aiming to exchange opinions about bilateral matters and interests of both countries, where the Vice-Minister took the opportunity to inform to President Yamaguchi regarding the progress of Panama fiscal transparency, in accordance with the regulations of Organization for Economic Corporation and Development (OECD). President Yamaguchi concluded his visit and tour with a courtesy visit to H.E. President of the Republic of Panama, Juan Carlos Varela, where President Yamaguchi delivered a letter from Prime Minister of Japan, Shinzo Abe, to President Varela. 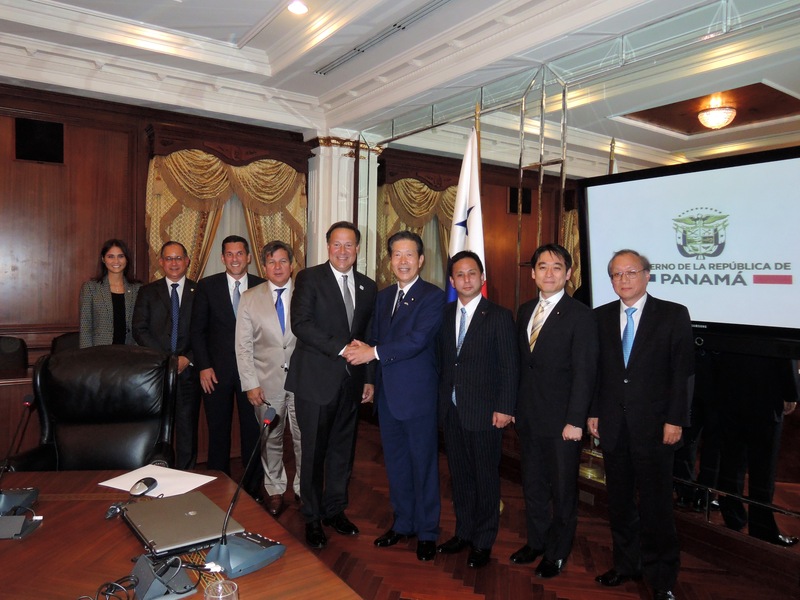 President Varela expressed his gratitude to this visit, the financial corporation of Japan for Line-3 project of Panama, and also the sign of Tax Information Exchange Agreement between both countries.